Raj Kothari draws on nearly 30 years of experience as an investor, a financial advisor and an entrepreneur. He is the founder and managing director of Cascade Partners where he helps lead divestitures, recapitalizations, acquisitions and other strategic transactions for clients in the healthcare, industrials, business services and technology sectors. He has also co-managed multiple private equity funds and dozens of investments from early stage to buy-out in healthcare, automotive, technology and other industrial companies. Prior to forming Cascade Partners, Raj co-founded Seneca Partners, Inc., a similar investment banking and private investment firm. While at Seneca Partners, he helped form Seneca Health Partners, a healthcare private equity fund. Prior to establishing Seneca Partners, he was a director at Beringea, a boutique investment-banking and venture capital firm. 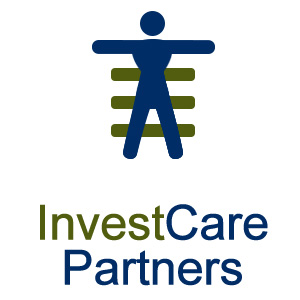 During this time, he co-managed the firm’s $70 million healthcare private equity fund, InvestCare Partners. Prior to the formation of their own fund, Raj has also served as an investment officer for ProVen Private Equity in London, England, a venture capital affiliate of Beringea. He began his investment career as a money manager, most prominently for Masco Corporation. He left Masco to co-found Cranbrook Capital Management, a $650 million money management firm, where he was treasurer and director of international investing. Raj’s experience has been sought by various organizations to help guide and influence their growth and development. He has served on the Board of Directors of over a dozen businesses and organizations. He currently serves on the Board of Priority Health, Micro Machine LLC and Dynamic Computer Corporation. Complementing his professional activities, Raj is active in a variety of non-profit and charitable organizations. Most prominently, Raj is a Colonel and Commander of the Michigan Wing of Civil Air Patrol, a volunteer auxiliary of the U.S. Air Force, where he has served for over 35 years. He has served on the Boards of TiE Detroit, Michigan Venture Capital Association, as a council person for the Village of Wolverine Lake and currently serves on the Alternative Revenue Task Force for Leader Dogs For The Blind. Additionally, Raj is an adjunct professor at the University Michigan, Ross School of Business and formerly at the Mendoza College of Business at the University of Notre Dame. Kothari, a Chartered Financial Analyst, earned both a Bachelor of Arts and a Master of Business Administration from the University of Michigan. He currently holds Series 7, 79, 24, and 28 licenses from FINRA.